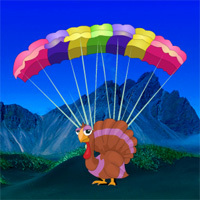 Adventurous Valley Turkey Escape info about the game-Games2Rule. In this Thanksgiving escape game, someone was trapped a turkey with a cage in an adventurous valley. So you have to rescue the turkey from this adventurous valley.